Short distance today around 21 km. Michael back is acting up so a slow pace walk with longer rest stop. 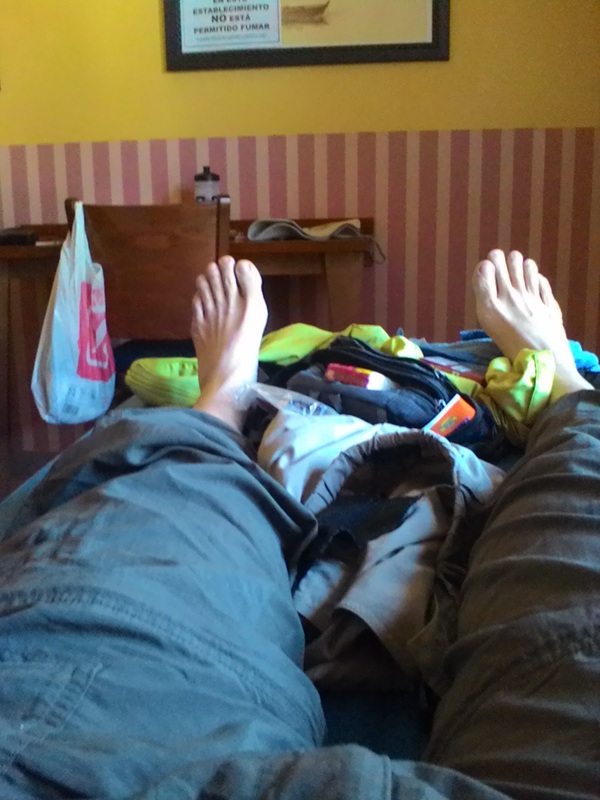 No albergue here but okay to pay a little more for a hostal since it was free last night. Finally a heavenly hot shower. Rest early and hopefully Michael will be better tomorrow. Recalibrating the distance for the next few days to help his condition. Fingers crossed he gets better. Keep telling to lighten his backpack as he easily carry around 4 kg more than me. Still if I have half his ability when I am over 70 I will consider myself lucky. Camino Levante is challenging since there are a few stages with almost 40 km distances (thankfully flat enough terrain) and few albergues. If the distance is too much then hopefully a hostal can be found somewhere in between which ususally means more cost. 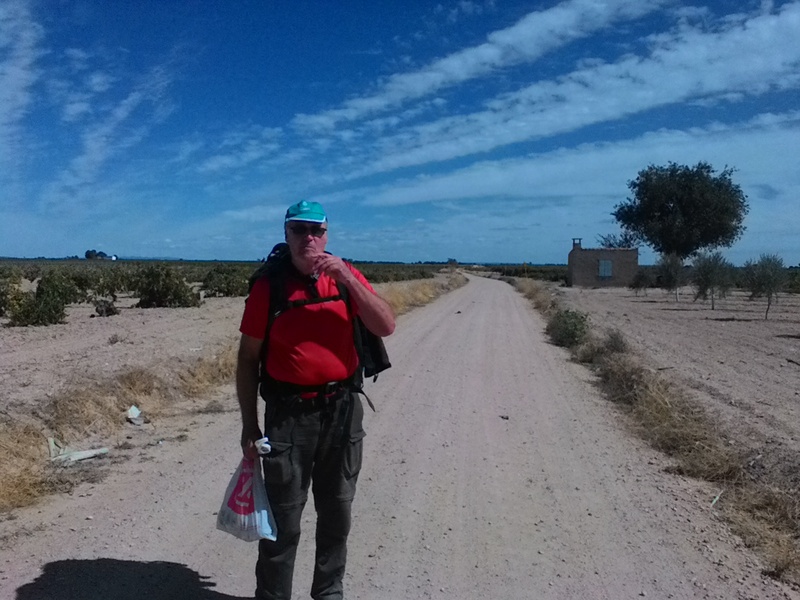 Even places with albergues many times one has to call for directions which means one's Spanish have to be good. Thankfully Michael is here for that.